Every year, more than 30 billion water bottles are added to America’s landfills, creating a mountainous environmental problem. 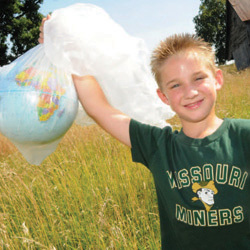 But if Missouri S&T research is successful, the plastic bottles of the future could literally disappear within four months of being discarded. 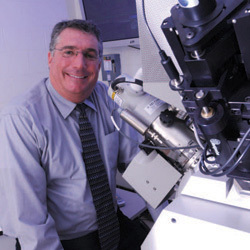 Missouri S&T has a new research toy – a focused ion beam (FIB) scanning electron microscope that is capable of shrinking images of objects a million times and then etching them on the head of a pin.